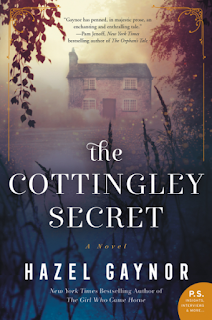 The Cottingley Secret is a historical novel with a dual storyline. In the present, Olivia Kavanagh inherits her grandfather's bookstore and discovers a mysterious manuscript related to the Cottingley fairies. Olivia wants to learn the link between this manuscript and her family. The book flashes back to two young cousins who made the fairy photographs in 1917, Frances and Elsie. This was a fascinating read. I have heard of the Cottingley fairies before, and seen the most famous photo of Frances with the fairies. That is what initially intrigued me about this novel. But there was so much more to this story. I loved Olivia's story, with the antiquarian bookstore and her past that she discovers there. 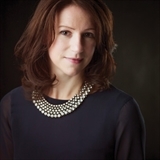 I found the story of how she works to move past loss and discover what truly brings her joy. Although I wanted to read this book initially because of the Cottingley fairies, I found Olivia's story even more compelling. She is such a warm, kind character, deserving of true happiness. I love the words her grandfather wrote, words she learns to live by: "You don't need anybody's permission to live the life you desire, Olivia. You need only the permission of your heart" (p. 11). The writing by Hazel Gaynor is just lovely. The characters are well drawn, the dual storyline is handled beautifully, and the descriptions add so much to the story. 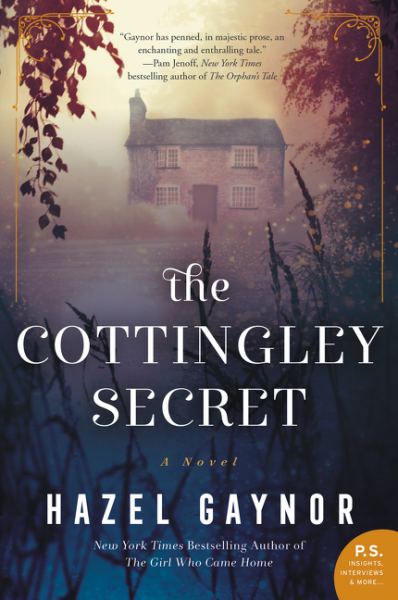 I cannot recommend The Cottingley Secret highly enough for fans of historical fiction. It is truly an enchanting read. I really liked it. All of her books are so good. Elizabeth, thanks so much for visiting! I enjoyed reading your review too. I have 3 more books by Hazel Gaynor on my Kindle, still unread, and want to read them soon. I just have all the heart eyes for books that feature books or bookshops or writing. I'm so glad you enjoyed it! I was more interested when I found out that this was based on a true event.